A COMPARATIVE STUDY OF CHINESE MERIDIAN THEORY, YOGA CHAKRA THEORY, MYOFASCIAL ANATOMY & THE PRACTICE OF YIN YOGA. Join Angela Jervis-Read for a fascinating and in-depth study of Yin Yoga. Immerse yourself fully to expand the depth of your personal practice and improve your effectiveness to work with students. Learn three concise and easy to follow body maps - from which you will be able to build thoughtful, therapeutic and interesting classes. Understanding the science behind yin yoga compliments many of our unique and diverse backgrounds. Massage therapists, psychotherapists, chiropractors, reiki practitioners, life coaches, and yoga teachers are just some of the many healers that can apply the knowledge of yin yoga to expand their understanding of the psychosomatic relationship. TIME: 10:30 a.m. - 6:00 p.m.
We accept Credit, Debit, Cheques & e-transfer or sign up Online. Full course description and curriculum/required reading. Angela Jervis-Read E-RYT 500 has been immersed in the world of yoga since 1998. She stumbled upon the science while seeking out a way to manage her chronic back back. Within a only a few months of practising her physical pain and attitude towards life had shifted dramatically. It was at this time, that she realized, that her mission in life was to spread the magic of yoga around the world. Known as a pain specialist, Angela’s intuitive nature fuels her ability to manipulate the relationship between mind and body. She holds a private practice in Toronto, where she works one-on-one with people suffering from PTSD, depression, anxiety, arthritis, repetitive strain injuries and other mental and physical discomforts. Compassion and kindness define her approach, setting her clients at ease - allowing for the greatest potential for change. Sought out by studios around the globe, Angela leads international teacher trainings, retreats and workshops in the both the yin and vinyasa traditions. She contributes to health and wellness magazines, has appeared on national television networks, speaks at conferences and is currently completing her first book. Inspirations both and on and off the mat are: Jeannine Woodall, Hali Schwartz, Sarah Powers, Tom Myers and Rishi Sudhir of the Sampoorna Yoga School in Goa - India. Assisting and adjusting students is a refined art that requires heightened awareness, keen observation skills and a solid understanding of body mechanics. This course will build confidence when applying touch and provide a myriad of ways to refine alignment without touch. Having moved back to Durham Region recently, Tracey is grateful for the opportunity to be a part of a new community of yogis. She is looking forward to meeting more people in the area through this beautiful practice. Tracey is a dedicated, knowledgeable & engaging educator. Currently teaching in both Toronto & Durham Region areas, this senior teacher’s deep sense of care and compassion help make her classes accessible, inclusive and authentic. From her nurturing restorative classes to creative vinyasa flow, specialty classes like prenatal, postnatal & chair yoga too are all infused with grounding energy, meditation, breath work and sometimes fabulous thai massage style hands-on contact. 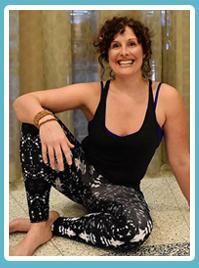 Tracey runs Continuing Education courses & workshops in Yoga and Thai Yoga Massage. 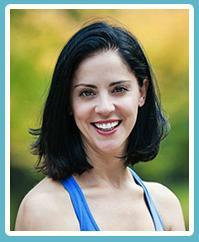 She's been a guest teacher in Yoga Teacher Trainings at studios in Toronto & Ottawa. 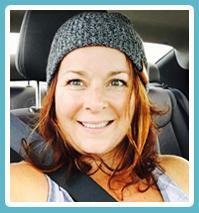 Since 2001, Tracey has been both a full-time yoga teacher and practitioner of Thai Yoga Massage. She began teaching Thai Yoga Massage over a decade ago. Her approach & teaching style in both streams of work have been greatly influenced by the same guiding principle - the spirit & energy of Metta or loving-kindness & compassion. The Bhagavad Gita is a perennial source of practical wisdom for life. It teaches man how to be deeply invested in life and at the same time transcend it. In the Gita, we find transformational wisdom about the simplest to the sublimest aspect of life. From what kind of food to eat all the way to the highest Vedanta philosophy; no important aspect of life is left untouched. Philosophically, the Gita helps people of all streams of thought in coming together. Practically, it helps people in all modes of life in transforming themselves. Over thousands of years, the Gita has guided millions of seekers in their quest to find their purpose in life. It helps balance spiritual aspirations and societal obligations, contribute to the community and lead fulfilling lives. The Bhagavad Gita can be an interesting historical document, intriguing philosophical work, instructional manual for how to live life as well as the best self-help book ever written, depending on how one approaches it. It teaches how man can attain perfection both as a spiritual being and societal being and leave his footprints inerasably in the sands of time. In this training, Ram Vakkalanka is going to present the Bhagavad Gita in all its aspects - its historical background, its relevance to today's society, its philosophical aspects and its practical wisdom. He will reveal some of the wonderful secrets embedded in the ancient text that will simply ‘wow’ you. Regardless of one’s level of familiarity with the text, everyone will find something to take home. ‘The Yoga Sutras’ of Patanjali is a great compendium of the principles and practices of Yoga. It is one of the most authoritative and time-tested texts on Yoga and has been guiding millions of practitioners over thousands of years. The Yoga Sutras contain a detailed roadmap with eight milestones that mark the yogic path of the practitioners. It is a perfect starting point for anyone looking to expand their Yoga practice beyond the mat and explore the philosophy behind the postures. In this training, we will explore Yoga, Yoga psychology, the four-fold individual Consciousness, the eight limbs of Yoga proposed by the Sutras, the goal of Yoga and how Yoga leads to a life perfectly harmonious with everything and everyone. Ram Vakkalanka was born and brought up in India, in a family dedicated to a Yogic style of living. He grew up studying Sanskrit language, Bhagavad Gita, Upanishads and chanting Mantras as a life style. In his teens, Ram started studying music through the Sitar, eventually leading to Nada Yoga. Simultaneous to Yogic education, Ram also pursued mundane education, amassed a few qualifications in Finance, worked in the upper echelons of Management in the corporate world in Singapore, Africa, USA and Canada. 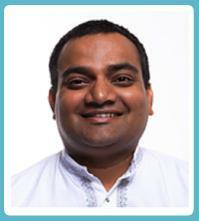 It was in Canada, Ram met his spiritual Guru and that meeting changed his life completely. In 2010, Ram quit the corporate world and dedicated his life to spreading the sublime philosophy of Veda and Vedic sciences such as Astrology and Ayurveda. Ram travels around the world sharing his deep knowledge of Yogic philosophy, Sanskrit, Nada Yoga as well as Vedic sciences such as Ayurveda and Astrology. His teachings are simple but profound, filled with current examples and humour. So far 22 CDs in three languages, one DVD and an online course about the origin and evolution of Yoga of Ram’s works have been published in three languages. He has appeared on the TV as well as Radio on numerous occasions. For more about Ram, visit www.aksharayoga.com. Restorative yoga offers a lot more than just relaxation. It is an experience of deep meditation and can be a gateway to deep relaxation and the cultivation of mindfulness. Restorative Yoga postures are passive stretches supported by blocks, blankets and bolsters. These poses are designed to stimulate the reflexes that quiet the mind and stimulate the restoration of organs and glands. By channeling the energies of the body through specific pathways, restorative yoga creates a deep sense of relaxation and rejuvenation. To be “Emergent” is to be in the process of coming into being and to me movement is always evolving. This all levels weekend training incorporates updated researched based Yoga, Functional Movement, Strength Training and creative Mobility exercises designed to help you diversify your movement diet, feel good, and explore familiar and unfamiliar movements. Mixing up movement and preparing the body for certain moves are essential when it comes to building strength and mobility, mitigating repetitive strain injury, creating new pathways in the brain and in preparation of everyday life. Whether you are looking to feel better in your Yoga Practice or just in general, I guarantee that you will walk out feeling strong, re-energized and inspired from the inside out! Saturday (upper body strength and mobility, full body and core) and Sunday (lower body strength and mobility, full body and core). Along with yoga movement, she is also a mindfulness practitioner; helping people to de-stress and tune into the present moment. As an Ambassador for the Healthy Body Image Movement, she is passionate about helping people accept and feel good in their bodies through all stages of life. Her passion for yoga, movement, mindfulness, and healthy body image is always growing and she cannot wait to practice with you.